10 Fashion Faux Pas By Bollywood Celebs This Year That We Can't Get Out Of Our Minds! If you thought fashion faux pas are a thing of the past, think again. As much as we hope that we could go back in time and unsee these sights, the truth is that we did SEE them. So here’s a roundup of the best of the worst fashion faux pas of 2018, courtesy some of your favourite celebs and their stylists. Fair warning: You will have to live with it. 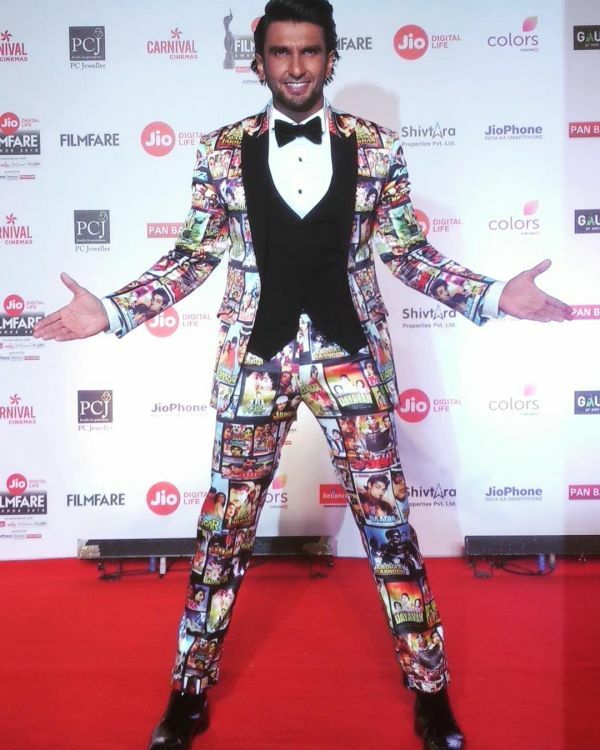 For Filmfare awards in January, Ranveer Singh decided to turn up dressed in movie posters, quite literally. And while we usually admire his quirky and distinct sartorial preferences, this particular suit from Karrtik D, with its numerous homages, had too much going on for our liking. Speaking of suiting up, Huma Qureshi tried one too, and at Cannes nonetheless. Unfortunately, the beige and metallic suit did nothing to up the actress’s style quotient at the International film festival. Next time, maybe? Is there a thing as too much pink? 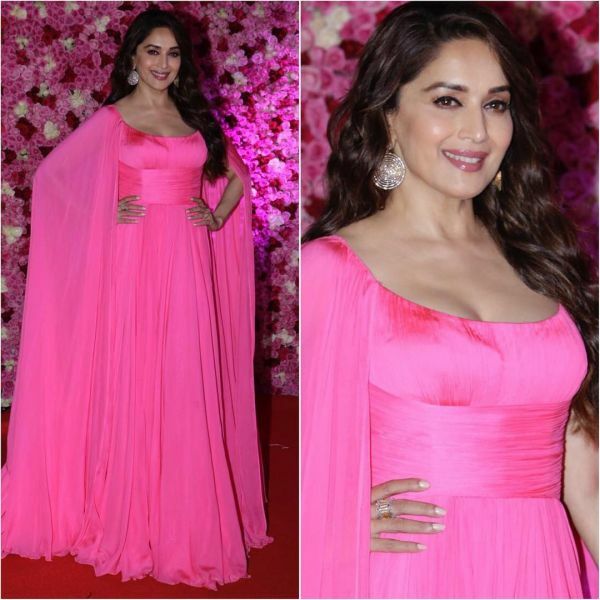 One look at Madhuri Dixit’s gown will tell you that there is. The shine, accompanied by the limp frills and weird cape just didn't impress us. Walking as a showstopper for a designer is a big deal, we get it. 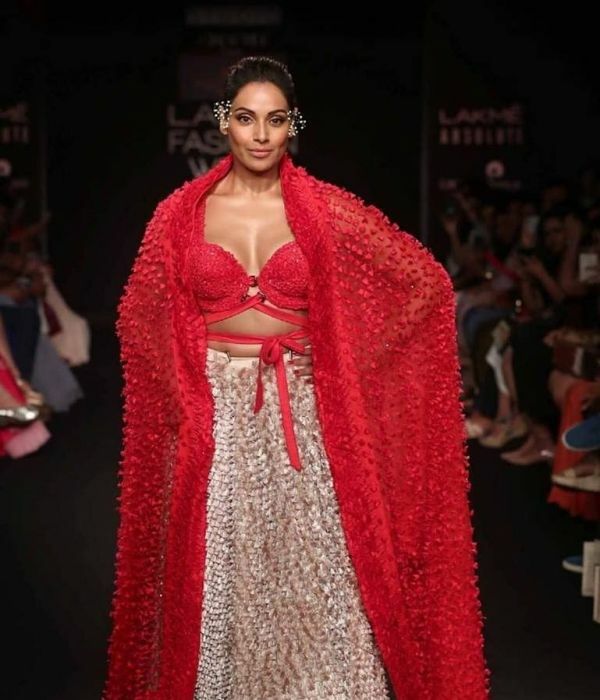 But looking like that for Ruceru Couture’s Winter Festive showcase did Bipasha Basu no favours. From the fabric to the colour combination and the accessories, the entire outfit was a case of show-stopping attire gone horribly wrong. In case you didn’t know of ways you could go wrong with a LBD, here is one. Sonakshi Sinha paired her semi bling Rohit Gandhi+Rahul Khanna dress with a pair of heels which did nothing to elevate her look. If it’s not bling, well its silver. Styled by Tanya Ghavri, Karisma Kapoor seemed to have donned the blingiest dress of them all. And as if it wasn’t enough, she (and her stylist) decided to go for an all-silver appearance to match the dress. Not futuristic, you guys. 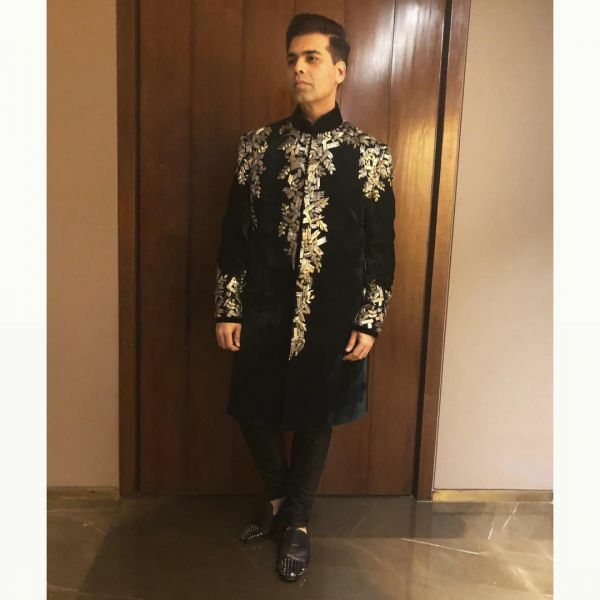 We normally trust Karan Johar to ace each trend and look like a pro, but at the much-hyped Ambani wedding, however, the case was a tad different. The excessive embroidery on the dark emerald sherwani was too random and a lot to take in. We are all in for maximalism, but if it looks like this, count us out for sure. Dressed in a Yumi Katsura Couture gown that incorporated a giant bow, a (sort of) cape, some really huge flowers and waves, this look was a no-no all the way. Never thought we would see Sonam on this list of Bollywood faux pas, but here we are. 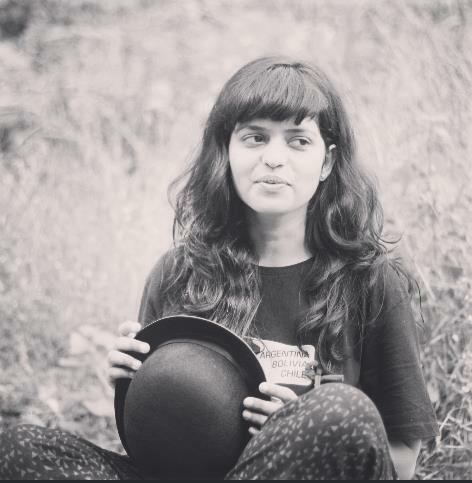 The reigning fashionista made a blunder at the HT style awards and a big one at that. We don’t know what to make of the raw edges, the untidy cape, and that visible lining on that dress. Hopefully, it's the last time.